A woman’s body greatly depends on her menstruation cycle. It affects her in many ways. The body undergoes various major changes on the onset of periods, during pregnancy and the time when she is about to hit her menopause. A woman’s body faces hormonal hits and misses throughout her life. Hormones like oestrogen, testosterone, insulin and various others are fluctuating throughout your life. 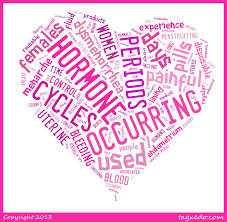 Menstruation is your body’s way of telling you that your reproductive system is functioning properly. The monthly cycle of every girl varies. Some have it of 28 days and some have it of 30 days. The average number of days it lasts is 4-8 days. So basically, depending on various factors, some periods are short, others are long, while some are heavy, others are light. Women tend to ignore the irregularity of their periods. Some don’t get their periods at all. There can be various causes to this depending on your age. If a girl is in her 20s or 30s and she misses her periods, chances are that she is pregnant. If a woman is her 40s or 50s and she misses them, then she is progressing towards menopause. Menopause is a stage when the ovaries decrease their production of oestrogen. The average age of hitting menopause is 51 years. Another most common cause of missed periods is when you exercise heavily. It has been found that athletes or ballet dancers and runners who indulge in too much physical activity stop getting their periods completely. Extremely heavy or intense exercise affects the production and regulation of reproductive hormones involved in menstrual cycle. Never ignore if you are getting painful periods or no periods at all. This might happen due to various factors and if ignored, it can prove fatal to your health. Visit a doctor immediately the moment you notice something odd or unusual in your menstrual cycle. ‘Happy Hormones’ – heard of them? Hormones that are responsible to make you happy and cheerful are happy hormones. Each and every emotion we experience is the result of certain chemical reaction taking place inside our bodies. The more happiness you experience, the more is the release of happy hormones in your body. 1. Serotonin : Serotonin helps to make you happy by keeping your mood elevated and preventing depression. It can be released by getting exposed to sunlight, having a rich carbohydrate diet and by exercising. 2. Dopamine : Dopamine is a hormone which helps you to stay mentally alert. Inadequate amounts of it can cause lack of concentration and attention. You can boost its stimulation by having foods rich in proteins. 3. Endorphin : Endorphins are majorly released when you exercise. They reduce your anxiety levels and sensitivity to pain. 4. Phenylethamine : This hormone is released when you are in love or in your early stages of relationship. Cocoa beans have phenylethamine. So now you know why women love chocolates! 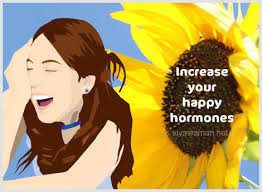 Happy Hormones are an interesting part of our body. Their release is essential to keep anxiety, depression and lack of concentration disorders at bay. Being happy is just another way of being healthy. STAY HAPPY!! 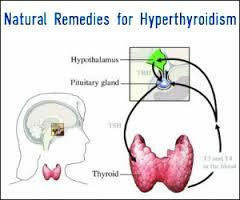 Thyroid gland plays a very prominent role in the proper functioning of our body parts. It is located in the neck just under the Adam’s apple and it produces the hormone thyroxin. Our body functions are thoroughly dependent on the activation of this hormone and whether we are receiving it in adequate amounts. Thyroid problems are dangerous. You tend to gain weight if your thyroid gland is sluggish. Also, your cholesterol levels can shoot up to dangerous levels. To avoid these problems, instead of completely relying on medication, one can go the natural way to cure the ailment. Natural therapies are always better and produce excellent results without any side-effects. 1. 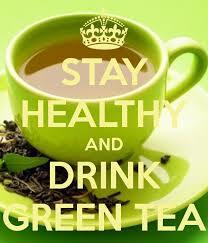 Eliminate caffeine and sugary foods from your diet and include fresh foods like green vegetables, fruits, etc. 2. Try to include foods rich in fats. If you are getting insufficient fats, your body might succumb to hormonal imbalance which includes thyroid hormone. Healthy fats such as oil, ghee, cheese, yoghurt, fish, etc can be included. 3. One of the best ways to cure thyroid problems is to increase the intake of Vitamin A. Have foods that are good sources of Vitamin A like carrots, eggs and all the dark green vegetables. 4. Lyceum Berry is one such home remedy for thyroid which can be used to balance the abnormal responses of the body. 5. Include starchy foods such as potatoes and protein rich foods like cheese, nuts and peas in your diet. 6. Also, iodine works like magic as far as treating thyroid problems is concerned. Include iodine rich foods in your diet as much as you can such as strawberries, onion, whole rice, tomatoes and garlic. 7. Last but definitely not the least, keep your system cleansed and hydrated by drinking lots of water and fresh juices. Never compromise on your fluid intake as fluids wash out all toxic substances from your body. 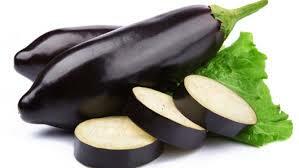 Eggplants or popularly called as Brinjals are not just a vegetable. Their consumption brings along numerous health benefits. They are not just good in taste, but they also prove to be a great health supplement which help to prevent many diseases. 1. Help Keeping Diabetes in Control : Being a rich source of fiber and low soluble carbohydrates, brinjals are beneficial to keep the blood sugar levels in control. 2. Helpful To The Brain : Brinjals contain phytonutrients which help to protect the cell membranes from any kind of damage, thus leading to a healthier and active brain function. 3. Facilitates Weight Loss : Brinjals are a good option for the ones who want to lose weight because they are high in water content and low in calorie count. Thus, including them in your diet makes up for a healthy diet plan and you can also lose weight. 4. Heart Health : Brinjals have fiber, potassium, vitamin C, vitamin B6 and phytonutrient content which support heart health. 5. Blood Cholesterol : Brinjals are proven to have chlorogenic acid in them which helps in significant decrease in weight and blood cholesterol levels. 6. Good Skin : Brinjals help to keep your skin soft and smooth due to high water content. 7. Hydrated Skin : Large contents of water, minerals, vitamins and healthy fats in brinjals can keep your skin well hydrated. Thus, brinjals have high medicinal and nutritional values. Try to include brinjals in your diet as much as you can and stay healthy.